At Metro Honda, we do our best to provide our valued customers with exciting new vehicles at fair prices as well as top-notch service and maintenance – but we don’t stop there. To ensure that you’re happy with your new or Certified Pre-Owned Honda* for years to come, we offer a variety of perks through the Metro Honda VIP Advantage Program. 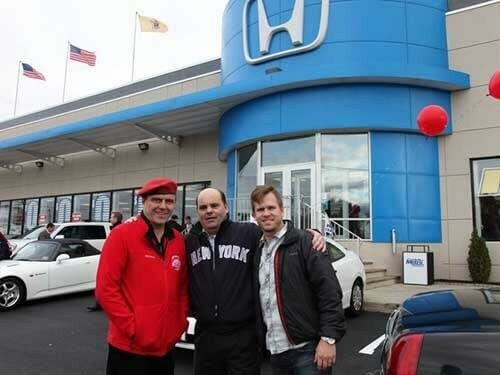 Find out what benefits to expect from the program before visiting us in Jersey City, NJ to view our new inventory and Certified Pre-Owned options! Loaner Vehicles: Need to leave your Honda at our service department for maintenance? There’s no need to worry about being stranded thanks to our fleet of complimentary loaner vehicles. VIP Pickup Service & Delivery: We know you’re busy, so we’ll pick up and drop off your vehicle at home or work when you need to bring it in for service. $250 Customer Referrals: Have a friend or family member who’s searching for their next new Honda? We’ll give you a $250 in cash for every person you refer who buys a vehicle from us. Service & Parts Referrals: For each person you refer to us for vehicle services or parts orders, we’ll give you a $25 gas card. Refer your friends and save on fuel! Car Wash with Every Service: Because we want to make sure that your Honda turns heads on the roads of Newark and Hoboken, we will wash your vehicle every time you bring it in for service. A Dealer You Can Trust: We strive to provide the best care for the Jersey City community by providing exceptional automotive services, but we also give back to the community we love by supporting many causes like local high school athletics and sports teams. Whether you’re shopping for a car or you need service or parts, we’ve got you covered. If you’re in the greater West New York or Bayonne area, contact us to set up a test drive or schedule service at your leisure. Don’t wait – get the great benefits of our VIP Advantage today! *Customers are eligible for this program when they purchase a new Honda vehicles or a Certified Pre-Owned Honda.